WD's BiCS3 3D NAND flash stacked 64 NAND flash cells one atop the other. 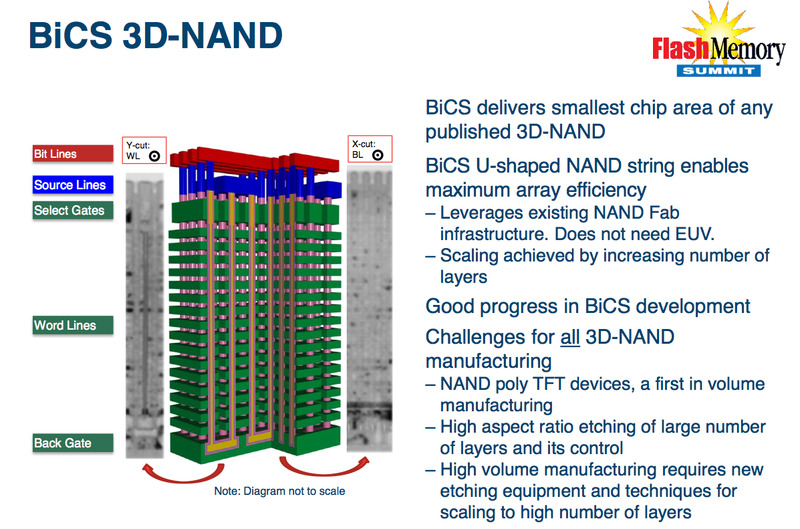 Even as 2D NAND approaches scaling limits due to lithography size and error rates, layer stacking to produce 3D NAND obviates all those concerns. 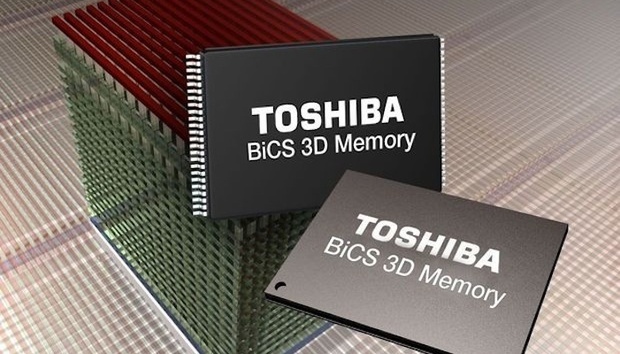 The picture shown illustrates one method of achieving 3D NAND. Horizontally stacked word lines around a central memory hole provide the stacked NAND bits. This configuration relaxes the requirements on lithography. The circular hole minimizes neighboring bit disturb and overall density is substantially increased.